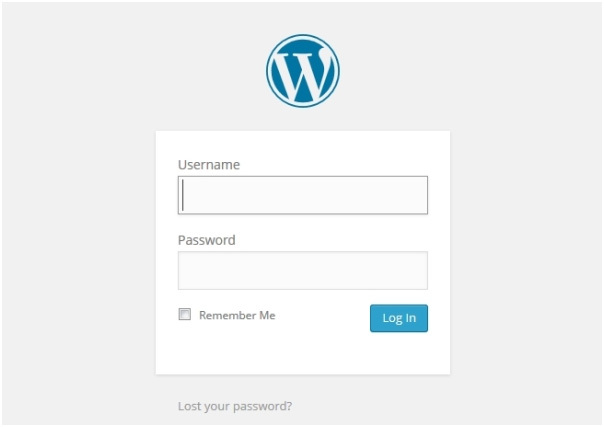 If you are yet to install WordPress, go back to step 2 to find out how. 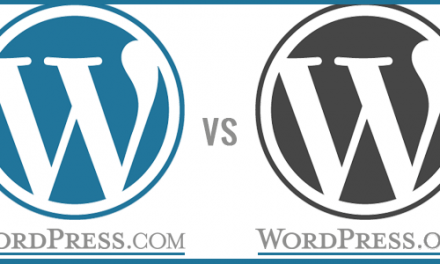 Once you have installed WordPress on your host account, you are almost ready to start writing your post. In this tutorial, I will be explaining the basic things you need to understand to begin blogging. I will be revealing more advanced customization you can carry out on the structure and design of your blog site. 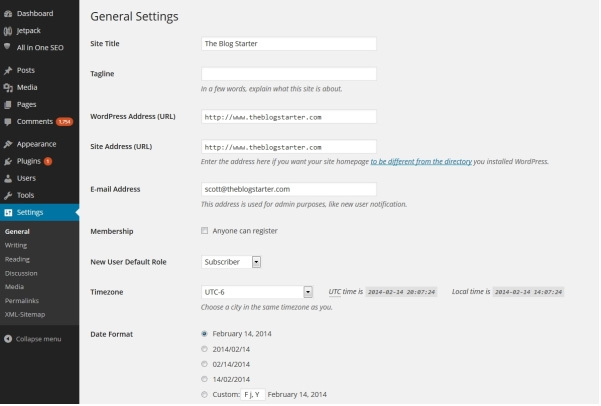 To begin with, you need to log in to your blog’s back end. Type http://www.yoursite.com/wp-admin into the address bar to show the login page (in place of “yoursite.com” type your domain name. Anytime you are not sure of your username, go back to the email containing your login information which you received from your host. 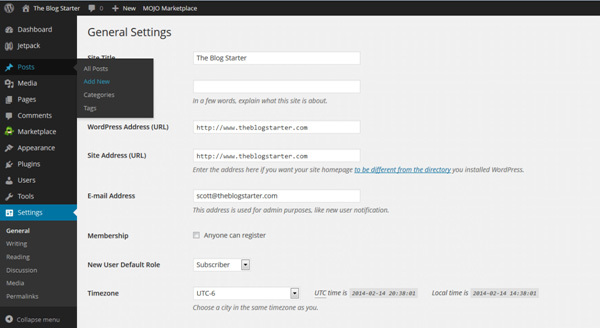 On this page you can change the title and subtitle of your blog. Whatever you want for your title and subtitle should be typed in here. When you are done, scroll to the bottom and click on “Save Changes”. 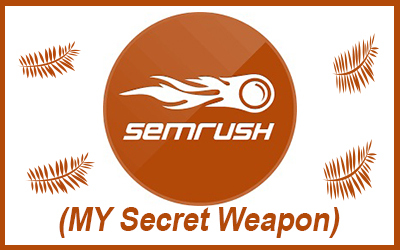 These changes will be reflected on your site immediately they are saved. Whenever you want to see the new look of your site, type in the domain name in the address bar of your browser and hit “enter”. Blogging involves writing and typing, so let’s learn how to write your first blog post; on the menu on your left, click on “Posts”. By default, there is a post with the title “Hello world!” on every new blog on WordPress but we won’t need it. To delete it, check under the post and click on “Trash” to get rid of it. Click on “Add New” button beside the word “Posts” to start writing a new post. 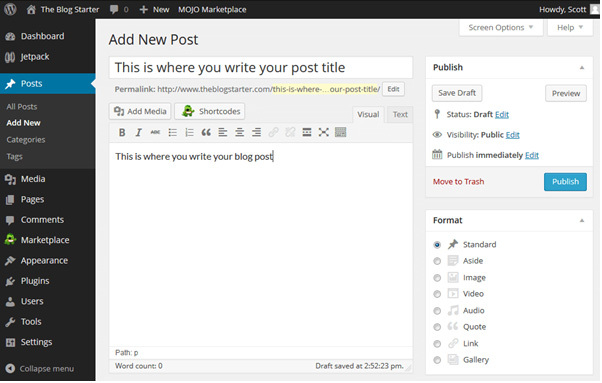 This will take you to where you will be writing all your posts. In the top box, type the title of your post and write the body of your post in the box below it. Click on “Add Media” to add images to your post. To upload images from your hard disk, click on “Select Files”. You can make modifications to size and alignment of the images in the next page. Click on “Insert to post” when you are done; this will make the image appear in your post. When you are through writing your post, on the right side of the page, click on “Publish” to make your post show up on your blog. 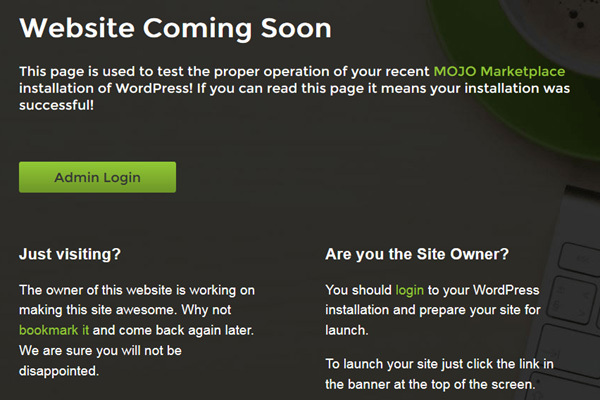 A “Coming Soon” message like the image below may be showing on your site even after you have published your first post. To remove this, log in to your dashboard and click on the link close to the top area. Your first post is now live on your blog! Congratulations! Definitely you will be making modifications to your blog as time goes on; I will be explaining all of that in the next step.